Baceline Investments, LLC, a boutique private equity real estate investment and management company with retail holdings throughout the Central United States, is pleased to announce the firm has received a $100,000 economic development grant from the DeSoto Economic Development Corporation (DEDC) for the extensive renovation of the Pleasant Run Neighborhood Health Plaza at 1100 E. Pleasant Run Road. 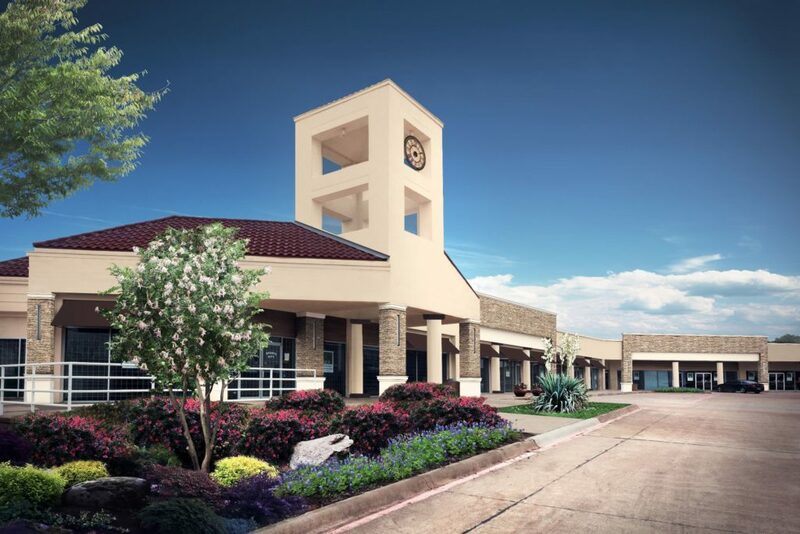 Baceline Investments, owner of the 37,000-square-foot, retail property (formerly known as Fountain Village Shopping Center) since 2011, acknowledged the DEDC, DEDC CEO Jeremiah Quarles, and other members of the EDC for its support in making exterior renovation possible. The grant will be utilized for the construction and installation of the new life safety and fire sprinkler system. Built in 1986, the property underwent a modest renovation in 2000 but due to the economic downturn the property was only 25 percent occupied when Baceline acquired it in March 2011. The current renovation project started in March of this year and included the installation of a new stone and stucco façade, parking lot improvements and landscaping enhancements. The entire renovation is scheduled for completion this month. Pleasant Run has been home to several existing tenants for over ten years including T. Rodgers Hair Salon, Evans Pit Bar-B-Que, Donut Palace, Cotton’s Cleaners, Comm Cash, and Classic’s Salon. The newest businesses to join the retail center are B & B Tax, Bookkeeping and Financial Services, LLC and Dixieland Child Care Center. Founded in 2003, Baceline Investments, LLC is a Denver-based privately held boutique real estate investment company that specializes in the acquisition, management, and sale of necessity-based shopping centers in select secondary markets across America’s Heartland. This unique geographic focus allows investors to better diversify their investment portfolio while avoiding exposure to overly competitive larger markets and the more cyclical coastal regions. Baceline currently serves the real estate needs of more than 700 individual, family, and institutional clients. Please contact Richard Polishuk and Samantha Orer at Henry S. Miller Brokerage LLC at (972) 419-4057.